Delusions are defined as strong false beliefs despite evidence to the contrary. There are many subtypes of delusions, and they commonly occur is psychiatric diseases such as schizophrenia or delusional disorders. They can also result from strokes, seizures, trauma to the brain, brain infections and as a side effect of some illicit and prescription drugs. In addition, delusions are common manifestations of dementia. Delusions are poorly studied and understood and little is known about their occurrence in dementia. Roughly, a third of people with dementia can have delusions, and the likelihood of developing a delusion increases as the disease progresses. An example of a delusion is that a loved one is having an affair or stealing your money. The presence of delusions in dementia can pose a great burden on patients, their families, and the society in general. For instance, patients with delusions can become aggressive, which places much higher stress on their caregivers. Also, patients with delusions tend to be admitted to nursing homes and other institutions much earlier than those without delusions. The risk factors for developing delusions in dementia are poorly understood. Some studies suggest that the older you get, the more likely you are to have delusions. It's unclear whether gender plays a role. The presence of other psychiatric symptoms, such as depression, or the existence of life stressors may be risk factors for the formation of false beliefs. There is no consensus as to the relationship between various medication intake and the development of delusions. The cause of delusions is also poorly understood. Some studies suggest that when delusions are present with dementia, the underlying disease is most commonly Lewy Body disease or Alzheimer’s disease. However, there have been several reports of patients with frontotemporal dementia due to a genetic cause (an abnormal change in a gene called C9ORF72) who frequently report very bizarre delusions. For example, a patient with frontotemporal lobe dementia once described how tiny worms were living in his earlobe, and that he had to press his earlobe between his thumb and index finger for several minutes on a regular basis to make sure he kills a number of them. The treatment of delusions is challenging, especially because little is known about the diseases that result in their manifestation. Medications that are usually used in patients with psychiatric diseases, such as antipsychotics, have been tried with conflicting results and usually little success. In addition, there is an increased risk of death associated with antipsychotic medication use in elderly patients with dementia and this risk increases with the dosage increase. A medication called Aricept (donepezil), which has been used successfully in delaying the progression of Alzheimer’s disease, has also been used to treat delusions. This medication was shown to help in some cases, although the evidence for its benefits is weak. In the absence of good medications, social support and education become the backbone for the management of patients with delusions. Arguing and attempting to convince patients that their beliefs are false will likely result in agitation and frustration. Instead, family members and caregivers will find it more productive to adopt various approaches like distraction and changing the subject. 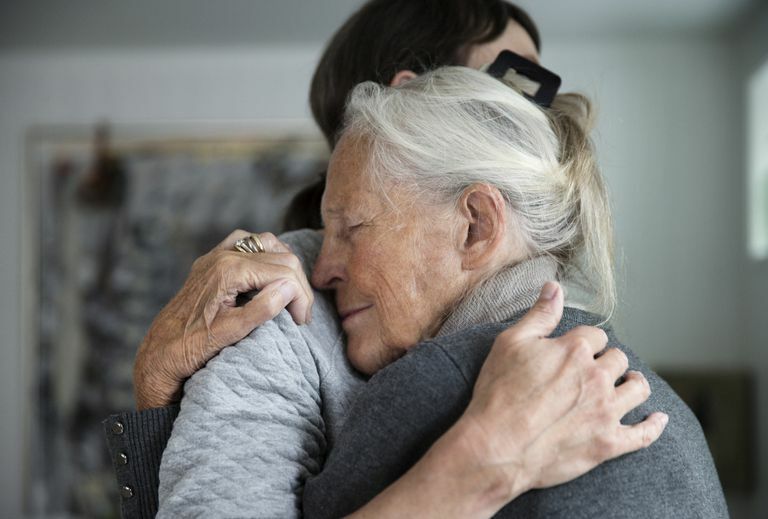 In some instances, especially when loved ones are at the heart of the delusion (such as in a delusion of jealousy), a change in the living situation and the introduction of a professional caregiver that is not a family member may be more constructive. The science behind delusions in dementia is still not fully understood, and the treatment can be challenging. If delusions are minimally distressing, simple reassurance, a kind word, or redirection may be all that is needed. But if a delusion is distressing to your loved one, taking an early and aggressive approach under the guidance of his or her medical team is best. Cipriani, G., Danti, S., Vedovello, M., Nuti, A., & Lucetti C. (2014). Understanding delusion in dementia: a review. Geriatrics & Gerontology International, 14(1):32-9. Fischer, C., Bozanovic-Sosic, R., & Norris, M. (2004). Review of delusions in dementia. American Journal of Alzheimer’s Disease and Other Dementias, 19(1):19-23. Maust, D.T., et al. (2015). Antipsychotics, other psychotropics, and the risk of death in patients with dementia: number needed to harm. JAMA Psychiatry, 72(5):438-45. Pai, M.C. (2008). Delusions and visual hallucinations in dementia patients: focus on personal history of the patients. The Tohoku Journal of Experimental Medicine, 216(1):1-5. Snowden, J.S., et al. (2012). Distinct clinical and pathological characteristics of frontotemporal dementia associated with C9ORF72 mutations. Brain, 135(Pt 3):693-708.